ABOARD THE PAPAL PLANE Pope Francis said on Sunday that he will wait until Australian justice takes its course before taking a position on Cardinal George Pell, who is under investigation in his homeland over sexual abuse allegations. But the pope, speaking to reporters aboard the plane returning to Rome form Poland, said Pell, now the Vatican’s powerful economy minister, should not undergo a trial by the media or by rumor. “It’s in the hands of the justice system and one cannot judge before the justice system,” the pope said in answer to a question. “Justice has to take its course …and justice by the media or justice by rumor does not help. After the justice system speaks, I will speak,” he said. He said Pell had a right to the benefit of the doubt like all those accused. Victims groups have called on the pope to sack Pell, the highest-ranking Vatican official to be accused of sexual abuse, or for him to resign. Pell is seen as a test case for the pope because he has vowed zero tolerance for sexual abuse in the Church has said he would sack bishops found guilty of committing abuse or covering it up. Ashton confirmed an Australian Broadcasting Television report on Wednesday that detailed allegations of abuse dating from the 1970s to the 1990s in interviews with alleged victims. In a statement issued in Rome on Wednesday, Pell’s office said he “refutes all the allegations made on the program”. ABC said it has obtained eight police statements from complainants, witnesses and family members who were helping with the investigation. The broadcaster said it received no information from police for its story. The public prosecutor declined to comment to Reuters on Thursday. 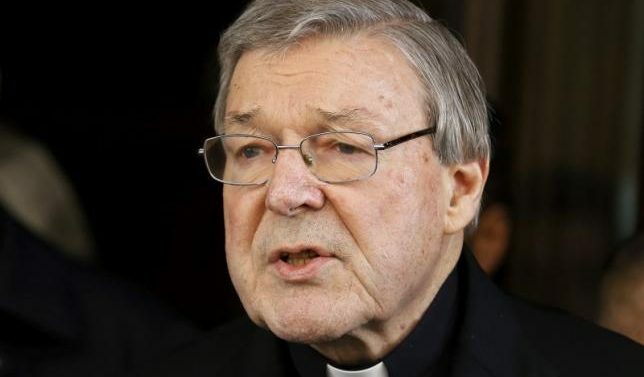 Pell was a priest in rural Victoria in the 1970s and 1980s before he became archbishop of Melbourne in 1996 and archbishop of Sydney in 2001. He took the Vatican role in 2014. Earlier this year, Pell testified at an Australian government inquiry on institutional child abuse, where he said the Church made “catastrophic” choices by refusing to believe abused children, shuffling abusive priests from parish to parish and over-relying on counseling of priests to solve the problem.